September 10, 2018 at 7:20 am by AmyBadger | Online Deals, Woot! Great idea for the college football fan or your new college student. 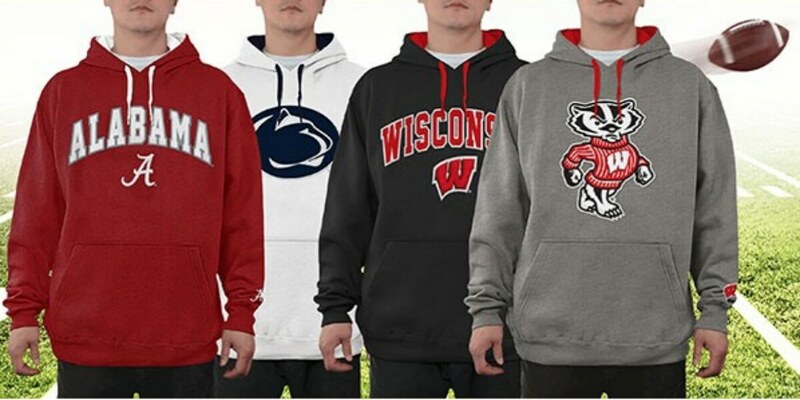 At Woot, get NCAA Men’s Hoodies $22.99 (Reg. $50) free shipping for Amazon Prime members. Tons of school options. Show off your school pride in this officially licensed NCAA pullover hoodie! This hoodie features a tackle twill and embroidered team logo on the chest. The additional school logo on the sleeve and contrasting team color hood lining make it perfect for game day. Keep your hands cozy in the front pouch pocket all season long!